“Before & After pics of my LT1/4L60E for my '68 C-10 project. All coatings are Motor Coater. Block is Velvet Black, the rest are Gloss Black, and Aluminum that has been Diamond Clear-coated. Diamond Clear on raw polished aluminum and steel parts as well. 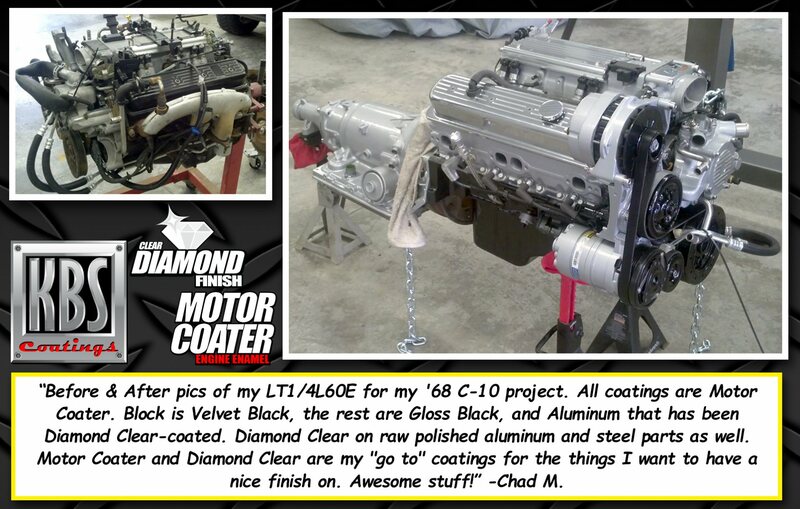 Motor Coater and Diamond Clear are my "go to" coatings for the things I want to have a nice finish on. Awesome stuff!” -Chad M.